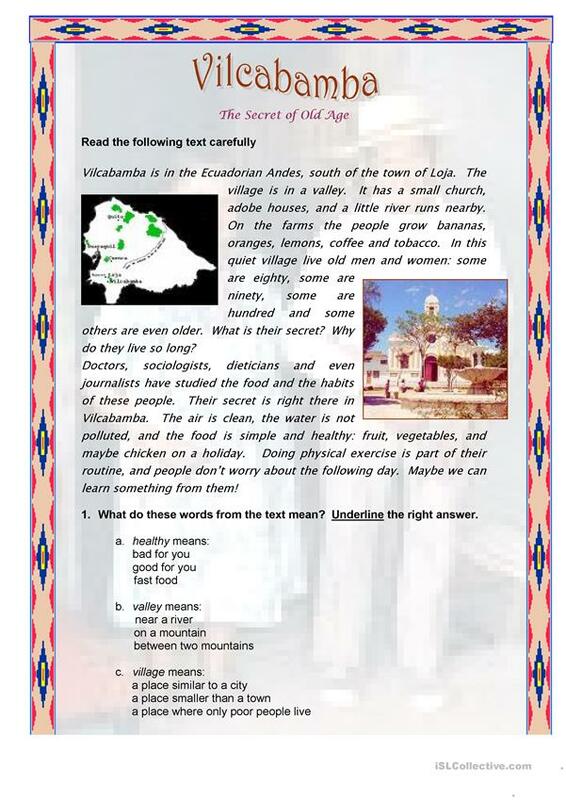 A short article about Vilcabamba, followed by two reading comprehension activities and an Â´ask questionsÂ´ exercise. 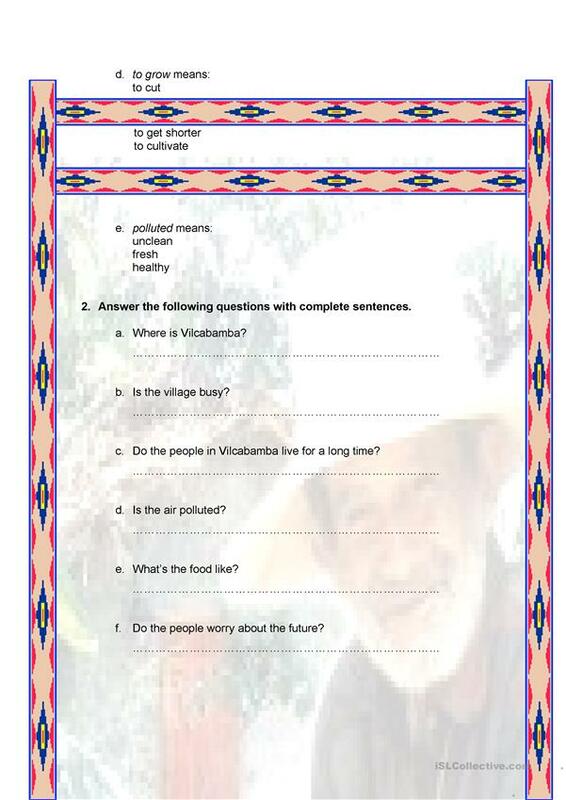 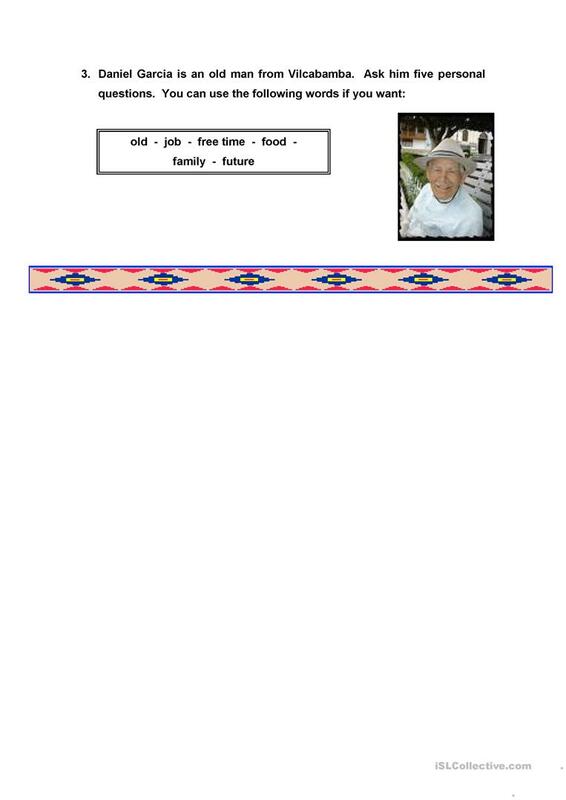 The present downloadable worksheet is meant for high school students at Elementary (A1) level. It was designed for strengthening your class' Reading skills.